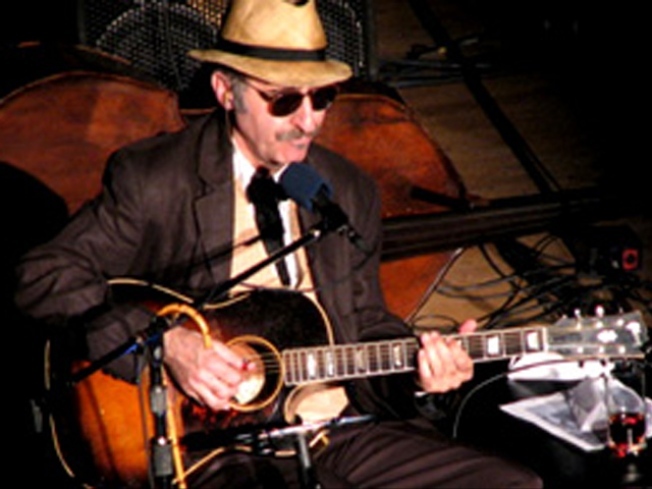 Leon Redbone plucks and growls at City Winery. OLD-TIMER: Leon Redbone’s fashioned himself a 30+-year quirky musical career out of retooling popular songs from the 1930s and accompanying them with dazzling guitar work, goofy-gruff vocals and an ever-present ’stache. He’s not to be missed. City Winery,8PM. PAGE TURNER: Tomorrow, the National Book Critics Circle announces its 2010 winners; tonight, finalists read from their works, which means it’s a rare chance to hear readings by a host of literary luminaries (fiction and nonfiction), all under one roof, from Brad Gooch (“Flannery”) to Edmund White (“City Boy”). The New School’s Tishman Auditorium,6PM. BROKE AGAIN: So you went ahead and got the debut album from Broken Bells (a.k.a. Danger Mouse and The Shins’ James Mercer) when it dropped yesterday, and now you’re frothing all over the place. Focus your devotion at the Music Hall of Williamsburg, where they play tonight in between calling on David Letterman and Jimmy Fallon. Animals open. 8:30PM.